THAT MOVIE WAS A BOOK? How many times have you seen a great movie at the Trylon microcinema and were surprised to discover that it was based on a long-forgotten novel? Ever want to read that book? Behold the TRYLON BOOK CLUB. Our first foray into this literary and cinematic adventure is Donn Pearce's 1965 novel Cool Hand Luke, followed by a special Saturday morning screening of the classic 1967 film with Paul Newman. Moon Palace Books has copies of Cool Hand Luke available now. Get your copy in time for the FREE screening and post-screening discussion at the bookstore. 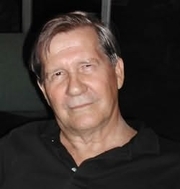 Donn Pearce is currently considered a "single author." If one or more works are by a distinct, homonymous authors, go ahead and split the author. Donn Pearce is composed of 2 names. You can examine and separate out names.